Calculated Risk: Question #6 for 2018: How much will wages increase in 2018? Question #6 for 2018: How much will wages increase in 2018? However nominal wage growth was a little soft in 2017. 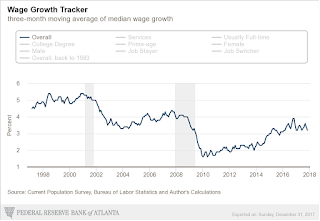 Real wage growth trended down in 2017. 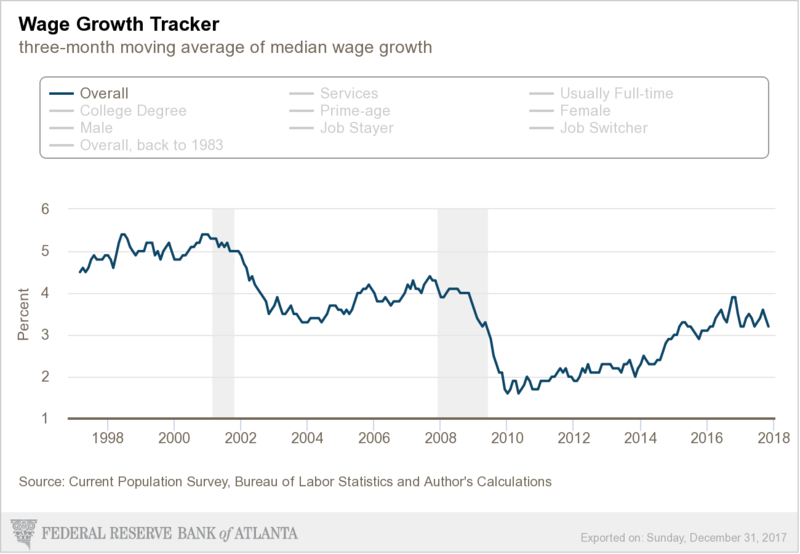 The Atlanta Fed Wage tracker showed nominal wage growth close to 4% at the end of 2016, but only 3.2% in November 2017.